On 6 December 2041 the Motor Vessel Elpis was announced as the newest member of the Colonial Fleet Battlegroup BSG-132. Originally a civilian cargo freighter, the craft was located on Aerilon and repaired and refurbished over the course of several months, and a name was chosen as a result of a contest among the civilian population. The civilians currently housed in the Starboard Hangar Deck on Cerberus are now beginning to be systematically transferred over to their new home. Below are details about the Elpis designed to facilitate and color RP. The Starboard Cargo Pod has been converted into living quarters. At full capacity — which would be little more pleasant than the Cerberus' hangar bay, aside from the plumbing — it could hold between 800 and 1000 people. These are dormitory-style arrangements — hallways with rooms branching off on either side, each housing eight to sixteen people per room (four to eight bunk-beds). Each bed has either a footlocker or a stand-up locker for its inhabitant's worldly possessions. In the process of moving in, you're given bedding for a bed, and a combination lock for your locker. There are no single/private rooms. However, there are many more beds than there are bodies to fill them. For now. These rooms are on three floors around a central 'courtyard' which contains the kitchen and cafeteria/dining area. Each floor has a sitting area / lounge, full of scavenged sofas and armchairs, television sets and other such entertainment. There are no 'skylights' upon the Elpis; for a view of the stars, you'll have to visit the Cerberus' Observation Deck. Unlike the Cerberus, bathrooms are gender-specific and not unisex. There are washrooms and laundry facilities on each floor. The Port Cargo Pod has been converted into a hydroponics facility. This is a working area for the food supply of the human race, not a verdant garden terrace full of ferns. Note that all plants grown upon the Elpis are foodstuffs; /all/ pharmaceutical plants are grown upon the Cerberus in the original hydroponics setup, under the watchful eye of the military. There is a small clinic on the Elpis, where basic injuries can be treated and dispensary-grade medications can be received. Any injuries requiring surgery, general anesthetic, bed stay, IVs, morpha, etc., are handled upon the Cerberus. There are no facilities for such treatment upon the Elpis, and too few highly-trained medical staff to split between two vessels, even if there were. Note that, amongst the MPs stationed upon the Elpis for security, there is always a corpsman or two to provide emergency/paramedic assistance. The bar is run by none other than The Entrepreneur Formerly Known As Aquarian Pete. He manages the place, keeps the stills bubbling, and tries to keep the noise to a dull roar. The stills are in a back room, and accessible by employees only. One area in which the Elpis in some fashion outshines the Cerberus. They may not have the rows of gleaming gym equipment, but they have a larger layout, including a proper boxing ring, a full Pyramid court, and a wall-climbing rig built up along the bulkhead. If you want to go swimming, however, you'll need to catch a Raptor across to the Cerberus. The command crew of the Elpis occupy the freighter's original crew quarter, which are a short hop from the Bridge. Retired Colonel Cincinnatus is the captain of the Elpis, and the command staff is, for now, military volunteers. You'll need a Good Reason(tm) to enter the bridge if you're not one of the command crew, and there are friendly MPs posted to ensure this. There are a small number of MPs posted to the Elpis to help keep the peace. They are most likely to be found near the Bridge, near the Hangar, or on patrol in pairs. As mentioned above, their number always includes at least one corpsman. A small number of Raptors provide inter-ship transport on a (fairly) regular basis. ICly, there is a schedule and limited number of transports per day because the pilots have jobs other than playing taxi and aren't on-call except in emergency situations. OOCly, we're keeping this vague for the ease of sceneage, so players can claim they caught the "last Raptor over" whenever. The Providers (NPC Raptor Squadron) has been generally tasked with this duty, with the caveat that players can roleplay shuttling duty if they want. Contact Cidra if you require more details. The freighter has been gutted, rewired, replumbed, and rebuilt in less than two months. Many of the people who have worked on it care deeply about their work and the success of the freighter, but the important thing to take away is that it is functional, not fancy. Making the Elpis feel cozy and homelike? That's up to the players. Many things remain, for now, under the military's thumb. This is open to change as the players see fit. This is not to say the changes will happen instantly, nor is it to say the military will be (ICly) pleased about all proposed changes, but this writeup is a starting point from which the civilians can move forward. Questions, comments, concerns to Staff. COL Benjamin "Payback" Cincinnatus (Ret. ), CAP A veteran of the First Cylon War. A skilled raptor pilot and former CAG, Payback has probably forgotten more about flying than most pilots will ever know in their lifetimes. Selected to Captain the new civilian freighter, there's rumour that he's even flown a raptor mission or two with the Harriers. 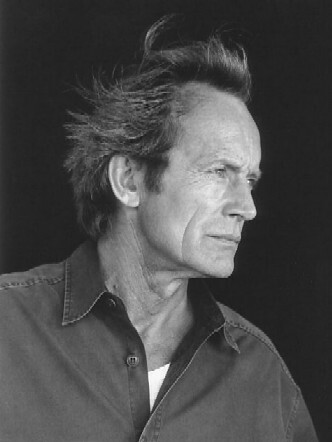 Col. Cincinnatus is played by Lance Henriksen. Dorian Niau, PLT A civilian pilot of some skill, an injury to his left leg and a permanent degradation of his mobility barred him from applying for Nugget training. He has, however, secured a position as a pilot aboard the MV Elpis. 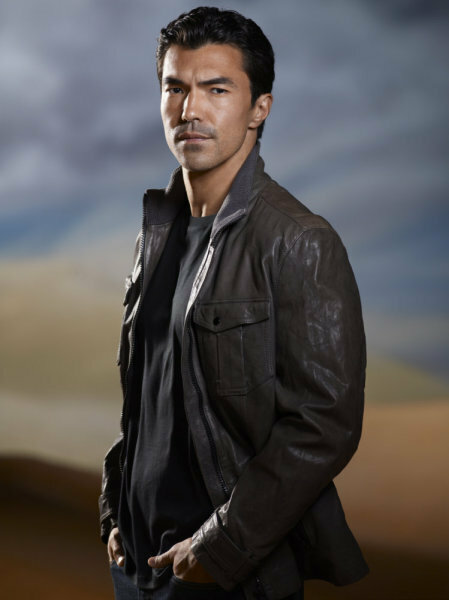 Mr. Niau is played by Ian Anthony Dale.